Jaydeep Steel is a leading manufacturer, exporter, and supplier of Duplex Steel UNS S31803 Sheets & Plates located in Mumbai, India. 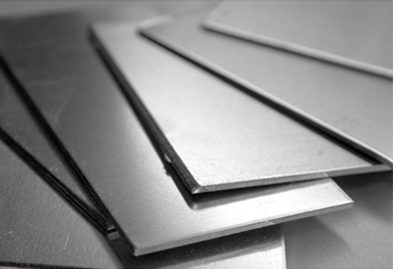 Alloys 31803 are the most common grades of duplex stainless steel that consist of a mixture of austenite and ferrite phases. They are highly corrosion resistant, work hardenable alloys. Duplex Steel UNS S31803 Plates are used in Food processing equipment, Oil field piping and heat exchangers, Flue gas desulfurization equipment, and more. We offer a quality range of Duplex Steel UNS S31803 Perforated Sheets, which are durable, and corrosion free. Our Duplex Steel UNS S31803 Plates, Sheets are widely used in a range of applications like structural, mechanical and general engineering purposes. These Duplex steel Plates are offered in various specifications, shapes and sizes customized requirements of our clients. Contact us today to request a free quote. We are here to help with all your sheet & plate product needs! Jaydeep Steels is one of the most competitive suppliers of Sheets & Plates from India. Our prices for Duplex Steel UNS S31803 Sheets & Plates are very competitive. Please click on the request a quote button or click here to request the updated price list and ready stock information along with your requirement. Jaydeep Steels maintains a stock of all standard items and can export them at best price for UNS S31803 Duplex Steel Sheets & Plates. We maintain huge inventories of all standard sizes and grades. 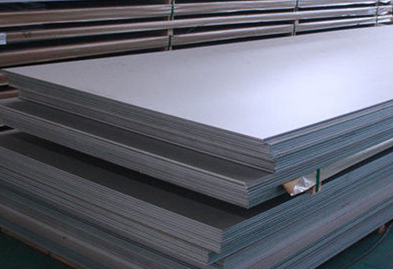 Please send us your complete requirement and we will send you the availability with the best quote for Duplex Steel UNS S31803 Sheets & Plates. Jaydeep Steels is a leading stockist, distributor and supplier of Duplex Steel UNS S31803 Sheets, Plates from India. We maintain huge stocks and you can easily buy Duplex Steel UNS S31803 sheets, plates, coils, Strips and other form of UNS S31803 Duplex Steel at one of the best prices. Please use the contact button or click here to send us your requirement to Buy UNS S31803 Duplex Steel Sheets, Plates from Jaydeep Steels. Exporting Duplex Steel UNS S31803 Sheets & Plates to Singapore, Malaysia, Hongkong, Thailand, Indonesia, Taiwan. Other countries includes Afghanistan, Albania, Andorra, Austria, Bahrain, Bangladesh, Bhutan, Brunei, Belarus, Belgium, Bulgaria, Cambodia, China, Cyprus, Croatia, Czech Republic, Denmark, Estonia, Egypt, Finland, France, Germany, Greece, Georgia, Hungary, Iceland, Ireland, Italy, Iran, Iraq, Israel, Japan, Jordan, Kazakhstan, Kuwait, Kyrgyzstan, Lebanon, Latvia, Latin America, Liechtenstein, Lithuania, Luxembourg, Malta, Moldova, Monaco, Maldives, Mongolia, Myanmar (Burma), Nepal, North Korea, Netherlands, Norway, Oman, Poland, Portugal, Pakistan, Palestine, Philippines, Qatar, Russia, Romania, Russia, San Marino, Serbia and Montenegro, Slovakia, Slovenia, Spain, Sweden, Switzerland, Saudi Arabia, South Korea, South Africa, Sri Lanka, Syria, Tanzania, Tajikistan, Thailand, Turkey, Turkmenistan, Ukraine, United Kingdom, United Arab Emirates (UAE), Uzbekistan, Vietnam, Yemen.